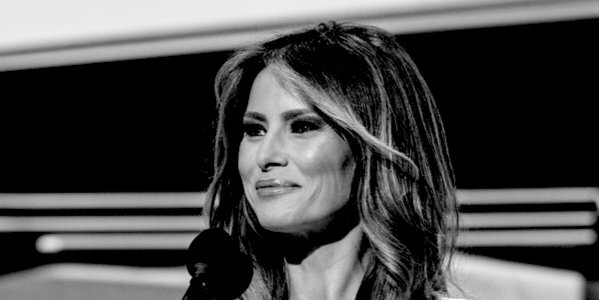 Yesterday we showed you the first part of the US television network ABC’s interview series with Melania Trump. Anyone who thought America’s First Lady was some sort of pushover former fashion model has to think again. Her replies to interviewer Tom Llamas were firm and confident. The clip he cut to from Barbara Walters’s interview with the Presidential couple showed her to be confident and gracious against her more socially awkward husband. I’d have little doubt about who is in charge of that relationship these days. It took some assurance and skill to answer that with honesty. And she did.